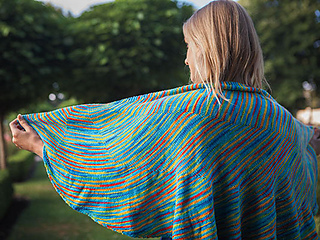 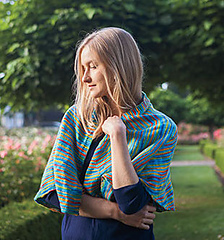 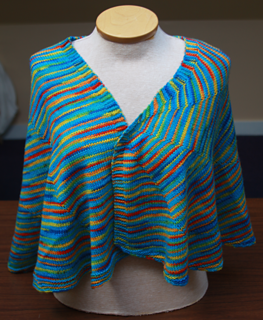 This shawl was inspired by the lovely illustrations in “The Maggie B” by Irene Haas. 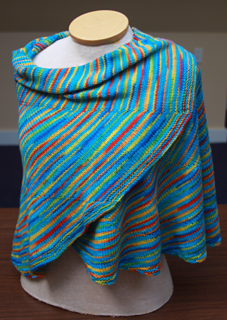 It’s subtle stripes and slightly curved shape give it lots of visual interest without being fussy. 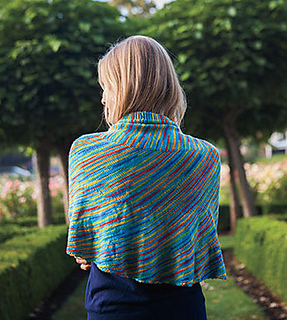 Use a variegated and a solid or semi-sold yarn for best results. 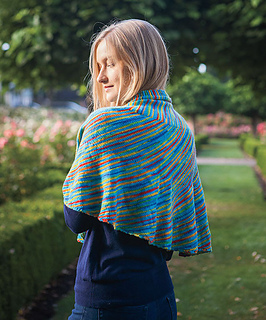 I hope when you’re wrapped up in your finished shawl you’ll have the same warm cozy feeling that this lovely children’s book evokes in its readers. Uses 1 skein each of 2 different yarns Shown here with a variegated and a coordinating semi-solid for subtle striping. 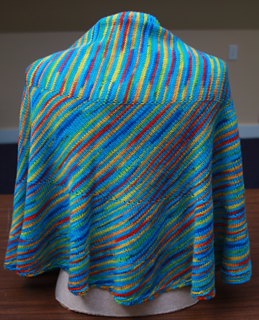 Use 2 contrasting solids (or semi-solids) for stronger stripes.